← Congratulations NOVEMBER Blog Subscriber Giveaway Winner!!! It’s time for Karen’s Killer Fixin’s! Over the years, I’ve filled two 4-inch, 3-ring binders with my own creations as well as recipes my family and friends were willing to share with me. I simply love to cook and want to share that love with my readers. So every Friday, I share one recipe I think you and your family might enjoy. It might be a main course recipe. A cookie or baked item. Candy. Salads. Whatever strikes my eye and fancy…which today is PECAN ROLLS! If you’re looking for a special treat that’s easy to make, you’ll love this recipe. It’s also delicious! P.S. We’re at 284 recipes and counting with this posting. Hope you find some recipes you like. If this is your first visit, please check out past blogs for more Killer Fixin’s. In the right hand column menu, you can even look up past recipes by type. i.e. Desserts, Breads, Beef, Chicken, Soups, Author Specials, etc. Thaw dough for 1-1/2 to 2 hours at room temperature. Cut into 6 pieces and each piece into thirds. Melt ¼ cup butter. Remove from heat and stir in brown sugar and corn syrup. Divide mixture into 18 greased muffin cups; sprinkle with pecans. Place a piece of dough in each. Brush each roll with 2 T. butter. Combine granulated sugar and cinnamon. Sprinkle on each roll. Cover, let rise until almost double in size (about 1 hour). Bake 375*, 15-20 minutes. Immediately invert onto serving plate. This entry was posted in Karen's Killer Fixin's and tagged Breakfast, Desserts, Sweet Breads. Bookmark the permalink. Frozen white dinner rolls would work as well, Karen. My SIL made this for a large group of family and friends one year and she put all the dinner rolls with the corn syrup, butter, brown sugar, pecans and raisins into a bundt pan and baked them that way. They came out lovely and it wasn’t a lot of work. But these sound heavenly, too. I’m looking for other recipes on the right side but don’t see them. Perhaps salads or soups for the Christmas season coming up, for those of us who are watching our weight? I’m anxious to see what you’ve posted. What a good cook!!! Good morning, Kenna. I’m sure that would work as well, and even LESS work! LOL I’ve reached the age when “not a lot of work” means something to me. 🙂 I had a notion of catering for a while but happy with the career path I’ve chosen instead. The menu on the right is down the column a little and is divided by recipe types. 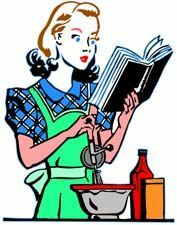 **Author Special** is all of the recipes shared by other others, but I also tried to share their recipes in the other recipe types. Have fun searching the recipes! Shortcuts like these are proven and truly tasty,not to mention, such a help to those of us who can no longer spend the hours we used to in the kitchen. Thanks, Karen!